Forgive me for turning this into "When I am Usability-Guy General" for a while, but I just saw the website for The Simpsons Movie. 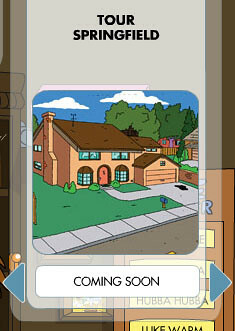 The site has a very cute tool for creating your own avatar: how you would look if you lived in the Simpson's universe. 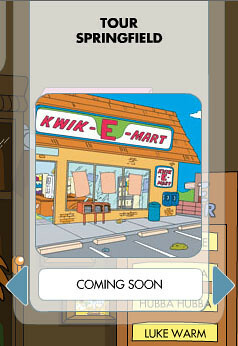 And then you can explore Springfield, visiting the town hall, the Kwik-E-Mart and the Simpsons' home. 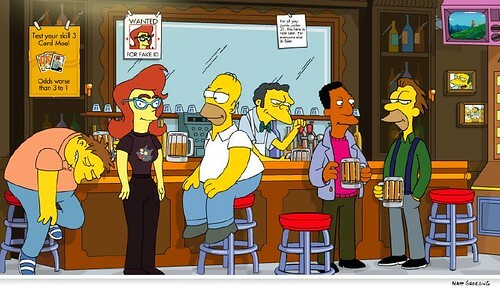 Here I am at Moe's Tavern. I think Homer likes me. But hold on a moment: I should say you will be able to explore Springfield one day. For now, you can only get as far as the bar (oh, just like real life!). Everything else is unfinished. The same is true for the "About the film" section: the only info currently available is a two-sentence synopsis that doesn't tell us anything we don't already know (Homer is stupid! The movie is animated! It's based on a TV show!). The "cast and crew" and "production notes" sections are either not written or, more likely, are still going through the legal/approval process. Mobile and partnership info? Also coming soon. Now, I'm sure that most of the audience for this movie won't notice or care about such things. There are trailers and games and downloads enough that a few non-functioning pages can be forgiven. Users distinctly disliked seeing "under construction" markers. As one user put it, "either the information is there or it is not; don't waste my time with information you are not giving me." Users were particularly aggravated when they had linked to a page only to find that it was under construction. One user said "At least give me something for going to the page; don't put it out there if it is not working." And that was written way back in the Internet's Dark Ages--you know, when The Simpsons was funny. 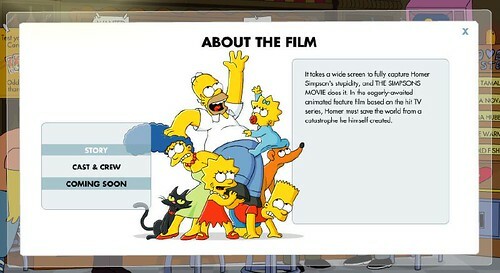 Copyeditor General's ruling: simpsonsmovie.com is a high-profile marketing tool, produced for a major corporation to promote a globally recognized brand. The least they could do is show a little professionalism. *And yes, I do assume that this is a temporary issue, and that this post will be redundant within a few days. At least I hope so. Edit: The movie has now been released, and the previously unavailable areas are now all working. Except one. 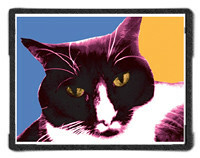 Homer's givin' you the lovey-dovey eyes! He DOES love you. Keep yer mitts offa Barney though. He's dreeeeeeammmmmy! Oh, Barney's all yours. And I say that only because he spurned my attentions. I am DONE with that man!